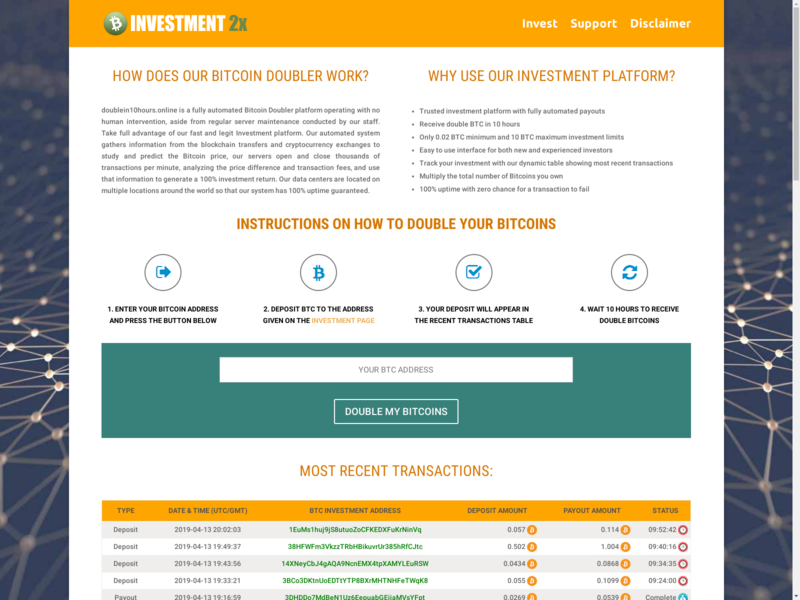 I would like to inform you of suspicious activities at the domain investment2x.online. Please shut down this domain so further attacks will be prevented. Never trust giveaway scams! They are almost 100% of the time malicious attempts to steal your funds.